This week, we catch up with award-winning Chef Charlie Palmer, one of the top toques in the country with a beloved portfolio of restaurants including Aureole (in both NYC and Las Vegas) and Charlie Palmer Steak, plus the cocktail destination Crimson & Rye at the iconic Lipstick Building. 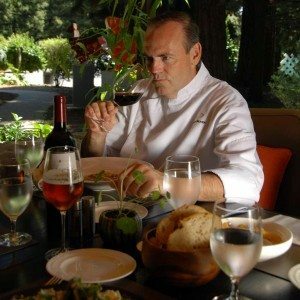 Not only is Palmer recognized as one of industry’s best chefs for his progressive American cooking, but he also knows how to enjoy a night out with a cocktail or two. Let’s go Drinking With Chef Charlie Palmer! I worked as a dishwasher in upstate New York. WHAT WAS YOUR PERSONAL A-HA MOMENT, WHEN YOU REALIZED A CAREER IN HOSPITALITY WAS FOR YOU? I think it was when I first visited the Culinary Institute of America (CIA) when I was 18 years old. I had initially started cooking in high school in Home Ec and I loved it, but it wasn’t until I saw CIA that I realized that cooking professionally was within the realm of possibility. FAVORITE NYC PLACE TO HANG OUT OVER A DRINK WHEN YOU’RE NOT WORKING? Crimson & Rye because it’s right down the street from Charlie Palmer Steak, where I spent most nights in the kitchen these days! But if it’s not one of our spots, then I’m a big fan of Pegu Club. I love what Audrey (Saunder’s) and her team are doing with cocktails and Robert Oppenheimer(He’s, the venue’s GM) has got to be one of the most hospitable guys in the business. WHAT ARE YOU INTO RIGHT NOW WHEN IT COMES TO COCKTAILS? I’m into variations of the Negroni and the Boulevardier. WHAT IS YOUR GO-TO DRINK WHEN YOU ARE OUT? I’m a Negroni man, but I like them with a twist — instead of all Campari, it’s half Campari and half Aperol. Coffee with half and half. These days, it’s an early morning run. Definitely the best cure I’ve found. Some days are harder than others. WHAT ARE YOUR PHILOSOPHY WITH BEVERAGE PAIRINGS AT YOUR RESTAURANTS? I believe wine and spirits are just as important to the restaurant experience as the food is. Wine has always played a huge role in my restaurants and now as the cocktail culture has evolved, so do spirits. FAVORITE FOOD AND DRINK PAIRINGS? 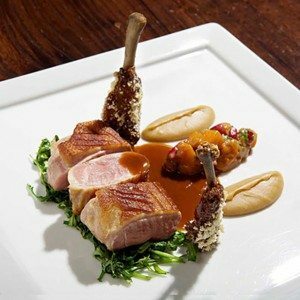 ANY FAVORITE PAIRING MENUS IN NYC? It all depends. I like to start people off with champagne or a good California sparkling wine. It gets the palette going for a great meal. As mentioned, I like the beverage part of the meal to get equal billing, so it all depends on the dish. I just tasted a foie gras terrine and Sauternes pairing at Aureole that was so complete for me, but then I also really like the simplicity of Pinot Noir and a perfectly prepared duck breast. My wife Lisa and I really like the bar at Gotham Bar & Grill. HIDDEN NYC GEMS OR DIVE BARS? I feel like so many of the dive bars have disappeared. We always used to go to the original Subway Inn and Carriage House when Aureole was on 61st Street and that’s all changed. I miss those old places. There’s a bar across the street from CP Steak that our staff there pretty much lives at called Papillon, which is an Irish pub disguised by a French name. It’s a pretty great spot for an after work beer. Beyond my career, I’m most proud of my four kids. They are amazing and all such smart guys. As for my career, I’d say it’s the team that we’ve built and cultivated around the country. Without them, I wouldn’t be able to have accomplished half of what I do. As far as restaurants go, I’d say I still have the most pride for Aureole — it’s my first and my longest standing restaurant and we’ve come so far since the early days on East 61st Street. Marcus and Pierre are doing some incredible things on the menu there. SINCE YOU TRAVEL BETWEEN NYC, VEGAS, SAN FRANCISCO, SONOMA AND DC, WHAT IS YOUR FAVORITE BAR OR RESTAURANT OUTSIDE OF NYC? For cocktails when I’m at home, it’s Spoonbar in Healdsburg. 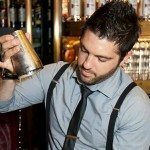 They have tons of concoctions from all parts of cocktail culture, but they all work. In San Francisco, Michael Mina’s new test kitchen is pretty incredible. He and his chef Adam Sobel are doing some pretty cool stuff over there right now. 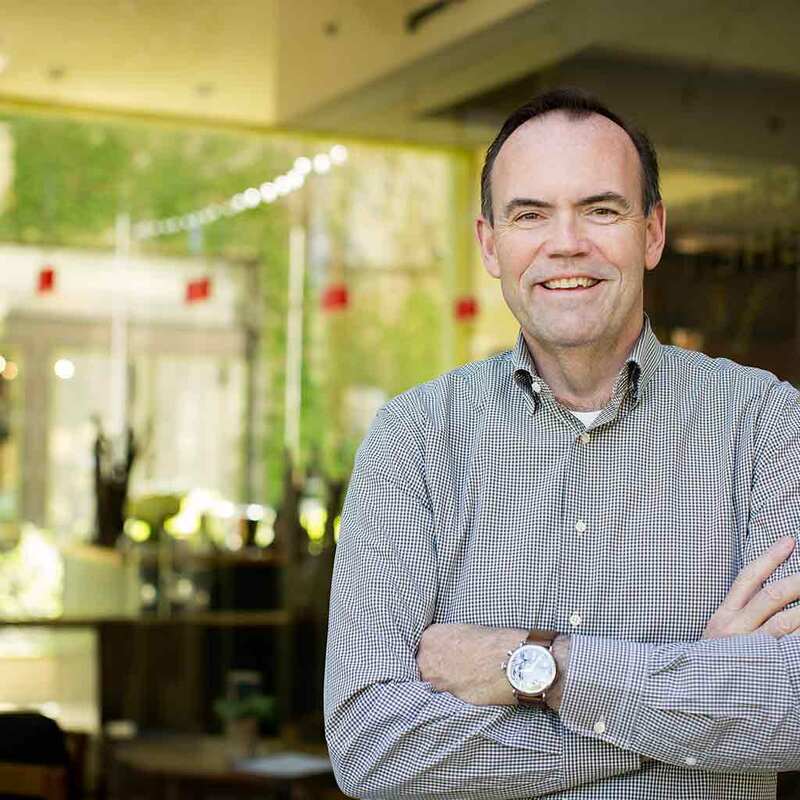 The Charlie Palmer Group consists of eight venues in New York City, with a total of 14 restaurants and 3 hotels in New York City, DC, Las Vegas ,Reno, San Francisco, St. Helena and Sonoma County.